The Bandersnatch Effect: What’s Next for Netflix? You are at:Home»Culture»The Bandersnatch Effect: What’s Next for Netflix? 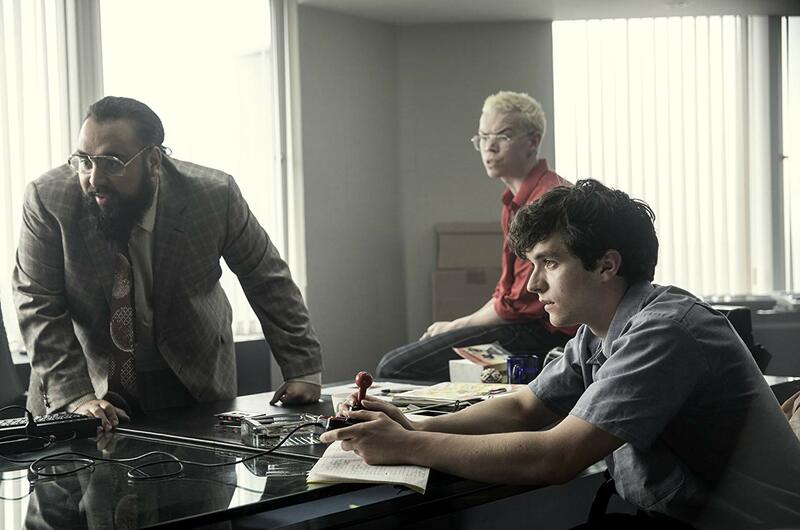 At the end of last year, Black Mirror: Bandersnatch sent social media into mass frenzy. The choose-your-own-adventure iteration of Charlie Brooker’s hugely popular Netflix series plunged us into the world of Stefan (Fionn Whitehead) as he attempted to make it big as a game developer, but with one major catch – we were in control (to some extent, at least) of his every move. With reportedly millions of possible narrative trajectories, all based upon the choices made by the viewer, Bandersnatch started to be hailed as the start of something much bigger, all the while bringing out the worst in its consumers. Okay, maybe choosing between Sugar Puffs and Frosties for breakfast isn’t really that much of a big deal, but being asked if you want to kill your dad or not… now that’s some dark stuff. But what even is Bandersnatch? The most obvious answer would be to call it one of many episodes of a TV series; it is, after all, part of Black Mirror. Maybe it qualifies as a film with its lengthy run-time. Or, perhaps we could call it a video game, given its user-interactivity. More importantly, then, does this classification even matter? One thing is for certain, with Bandersnatch, Charlie Brooker has created a scary insight into our postmodern dependence on streaming, playing and binge-watching, and perhaps most terrifying of all, something that might change the way we do these three things forever. What Black Mirror has never been, though, is a gimmick, and if the series were to use the choose-your-own-adventure format again, that is exactly what it would become. The notion of being able to make your own decisions wasn’t just thrown into Bandersnatch as an after-thought, it was a pivotal and central element of the narrative. In fact, one could go as far as saying that the episode/film/game is striving to criticise the commercialised streaming culture. Much like Stefan is a pawn, exploited for profit by those around us and manipulated for our own entertainment, the real message of Bandersnatch is that we are pawns for services like Netflix. Yeah, cutting up your (be honest, we all picked that option) Dad is a scary thought, but the most horrifying thing about all of this is that it highlights just how much we buy into the illusion of choice. If we really were allowed to choose the results of this narrative, there would be a happy ending somewhere in the algorithm. But all of the outcomes end in misery for Stefan in some way or another; we can control how his life spirals out of control, but we cannot save him from doom completely – Netflix doesn’t want us to. Whilst the bold statements made by Black Mirror will hopefully start to pave the way for a new and intelligent wave of culture that encourages audiences to reconsider the passive ways they consume, the choose-your-own-adventure format should stay exactly where it belongs: within Brooker’s wonderful world of Bandersnatch.